aTube Catcher lets you download videos from various video sharing sites, like YouTube, MySpace, Dailymotion, Yahoo and Metacafe etc. And it also allows you to convert downloaded videos to various popular video formats, including MP4, MOV, AVI, WMV, FLV, MPG, VOB, XVID, 3GP, 3G2, MP3, WMA, FLAC etc. However, aTube Catcher has no Mac version. If you are a Mac user, you have to look for an aTube Catcher for Mac alternative. Fortunately, there are other aTube cacher alternatives available in the market which can easily download videos with easy way from YouTube and other videos sharing sites such as iTube Studio. iTube Studio for Mac is a great option. This aTube Catcher Mac can help you download videos from over 3000+ video sharing sites easily and quickly in few clicks, like aTube Catcher. And enable you to convert videos to almost all video & audio formats and devices, such as iPhone, iPad, iPod, PSP, various mobile phones and more. With it, you can also burn downloaded videos to DVD etc. iTube Studio is available for mac and windows version. The aTube Catcher for Mac supports one-click video download and conversion. It means your favorite web videos can be downloaded and converted to any format or the device you want with a simple click. Now, I’ll take YouTube for example to show you the detailed guide in Mac (macOS 10.14 Mojave supported). iTube Studio is a best available alternative of aTube cacher in the market. iTube Studio is best online video downloader software and enables Mac users to download videos from all types of video sharing sites. iTube Studio enables users to download videos from more than 3000+ videos sharing sites. iTube Studio enables you to download and convert videos in your desired formats. iTube Studio supports 150+ music formats that means mostly all music video and audio formats. Download videos with 3x faster speed with task scheduler option. It enables you to record videos as well from videos sharing sites directly or you can record videos from the chat tools as well like facebook, skype etc. 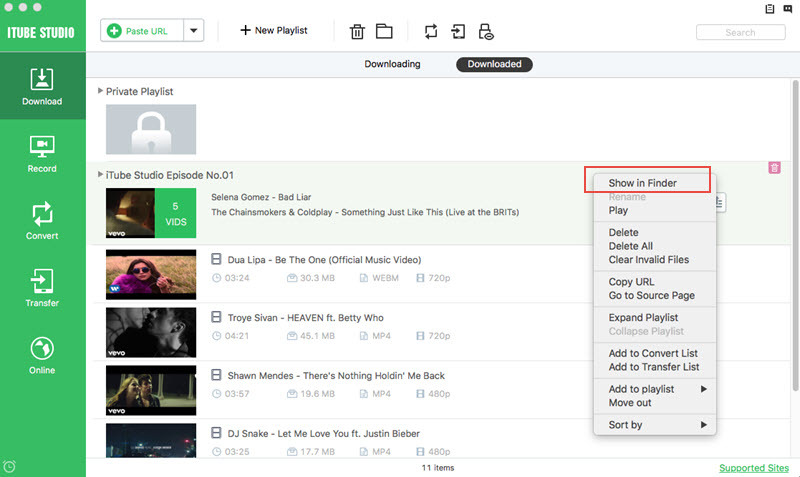 It supports batch downloading of videos so you don’t need to wait to add videos one by one. It can download videos in high quality resolution including hd, or ultra HD as well. Once you videos as downloaded on mac, you can transfer them to any other device including iOS and Android mobile. You can download it into any supported format directly. Visit iTube Studio official page from the below url and download it on your Mac. After running it you will see main interface of the software. Now you have to open your favorite browser on Mac. Visit YouTube website and search for the videos which you wish to download. 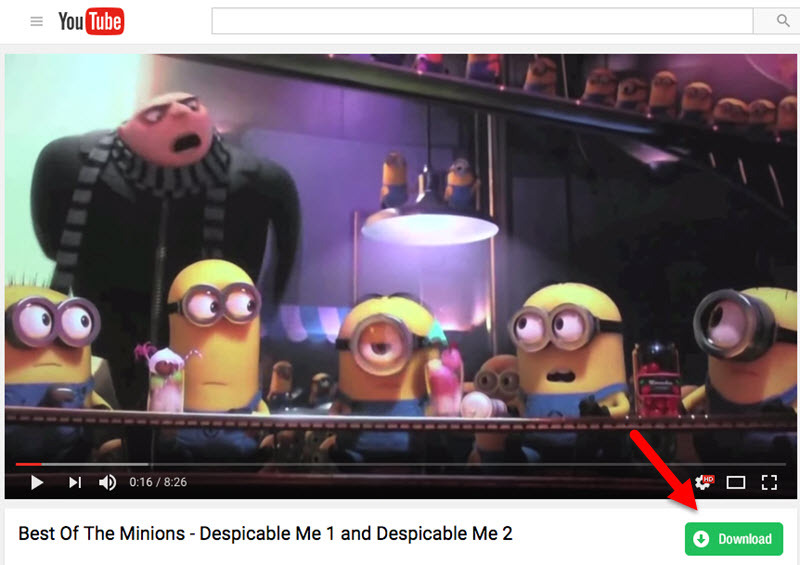 Once you found videos, copy the video url by right clicking on the video or by browser address bar. Now click on Paste URL button, iTube Studio automatically start downloading videos after clicking on download button. Before downloading, you can also select the quality of the video. It will be downloaded quickly and you can find downloaded videos Downloaded tab. If you want to transfer video to your device, you just click the icon of transferring and it is easy to transfer to your device. 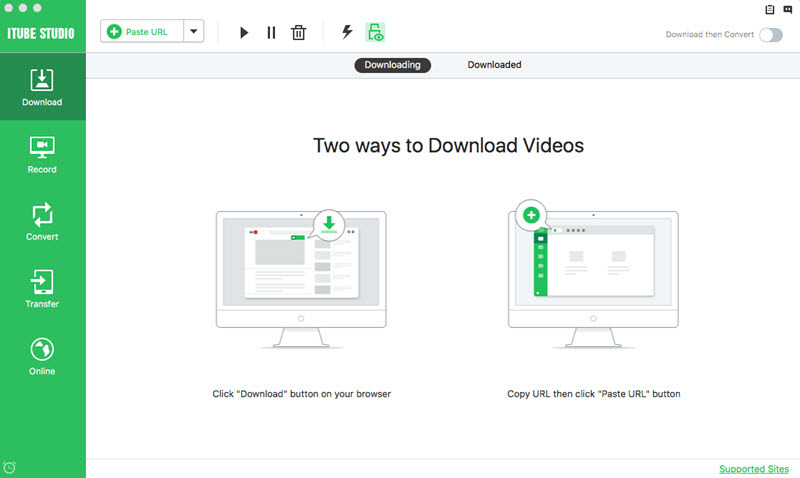 iTube Studio enables you to download videos with Download button in browser as well because when you install it on your Mac then it automatically adds a plugin to your browser. 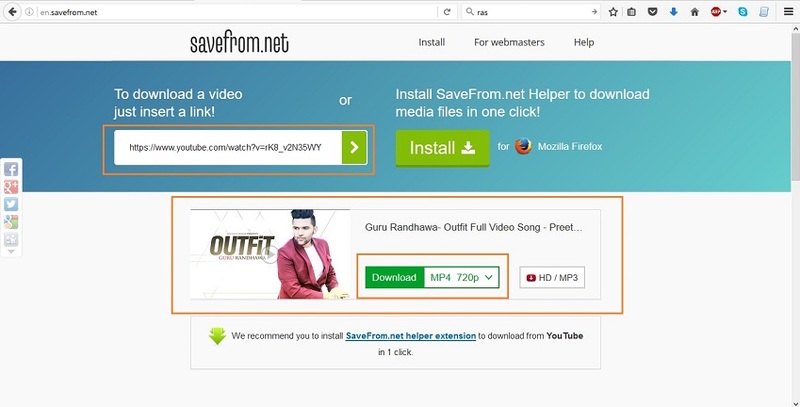 To download with this way, run browser and play the videos on YouTube which you wish to download. Now in the top left side of video, click on Download button and select your desired quality. Once selected iTube Studio will start downloading your videos automatically in just one click. DETURL.com enables you to download videos online without paying anything. This ways is also very famous because by using this way you don’t need to download any software on your computer or Mac. 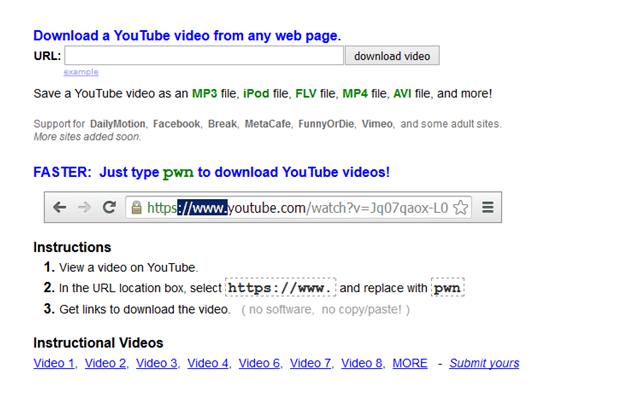 You can directly download videos from YouTube and other videos sharing sites by pasting url. There are some limitation in this online version like the quality of downloaded videos. It is not high as expected or as you are watching on YouTube and other video sharing sites. 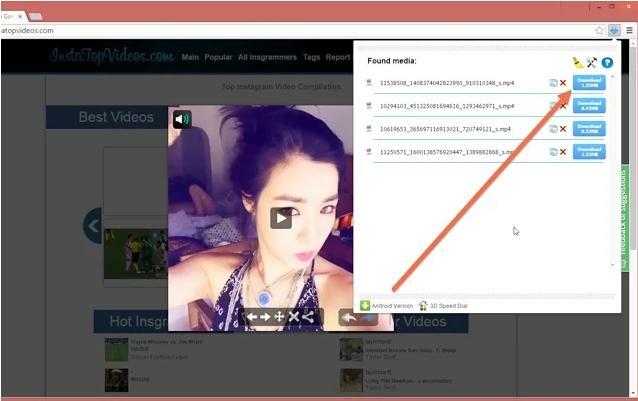 You can’t download videos in batch using this site you need to download them one by one only. Now it’s a time to discuss about downloading videos online using this site. You can follow below mentioned steps to download videos using this site. 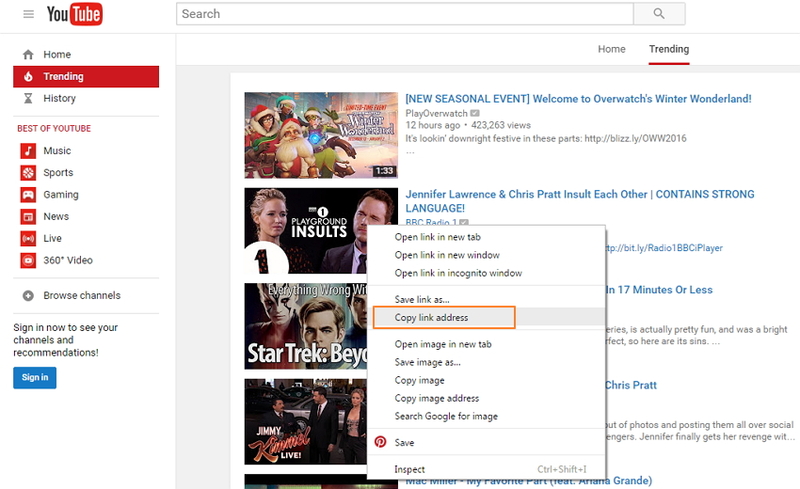 Step 1 First you need to visit videos sharing sites and copy the url. Here we are taking YouTube as our example. Visit YouTube.com and find out the songs which you need to download and copy the url of videos. Step 2 Now tap to browse DETURL.com in your browser. Once site is opened, you need to paste the url in the url area and click on Download button. Step 3 After following step 2 it will show you the video content. You will see different available formats of that video. Choose your format here and click on Download which is available with formats. Saveform.net is also a site to download videos online by using this site you can download videos easily without downloading any other software on your Mac device. This site works same as the DETURL.com but little bit differences are there. Downloaded videos using this site doesn’t comes with that much of good quality as compared to iTube Studio and DETURL.com. This site don’t allows you to download songs in the batch, and you need to download them one by one. It supports downloading from very less sites as compared to others. Note: Want to download and convert online videos in one click? Ok, this smart aTube Catcher for Mac - iTube Studio allows you to do it. Just turn on “Download then Convert” function in the top-right corner of the interface, select an output format, and then hit “ok” to save the setting. 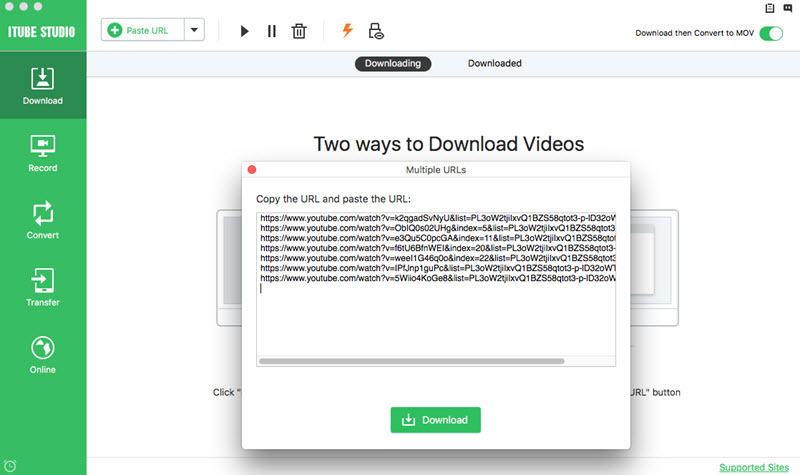 From the moment on, as long as you click the “Download” button, the online video will be downloaded and then automatically converted to the default format.